The time has come for the homeowners in Indianapolis to realize the effect of the “stay” on taxes ordered last year by Governor Daniels. Almost one year ago, the uproar over tax bills could be heard throughout the city of Indianapolis as homeowner after homeowner opened their 2006 tax bill. 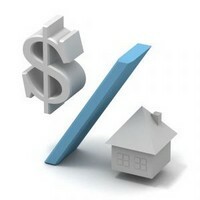 Trending had reached into the pocketbooks of most real property owners, from residential to businesses. Quickly, we were given a stay on taxes at the previous years rates, while all properties in Indianapolis were reassessed. Let me tell you, it was NOT the assessment which was the problem – it is the tax rate. It was never more evident than the closing I attended today on behalf of my clients. Should we have closed last week on their home, we would not have known how much the C bill would be. However, this week, they have been certified and sent out, meaning the tax is DUE. Not only is the C bill now due – the new tax amount changed in this instance. What did this mean to my client and the new buyer? The taxes my client paid for 2006, due in 2007 was $1018.00 semi-annually. The reassessment did not change the assessed value. Now, their actual taxes, (after a year long wait for reassessment), amounts to $2334.00 semi-annually. The same as it was last year when the original bill came out. Based on their tax rate before the C bill, their tax credit to the buyer would have been roughly $3054.00. The amount they actually credited the buyer for taxes was $9630.00. Let me break it down for you? They paid the C-Bill = $2631.00 – The C-bill was the additional amount needed to cover all of 2006 taxes, payable in 2007. Divided by two, it equals $1315.00 per half. The figures are not exact! For easy math, I rounded it out to equal 3 semi-annual payments. Since we pay taxes in arrears, my clients owe for all taxes due in 2007 and until June 13th for 2008. I figured the amounts until June 30th. Lest you think my clients sold a million dollar home with a view of Eagle Creek or an estate in Meridian Kessler, their gross assessed value was $123,300 and an adjusted net value of $85,300. What changed? The tax rate. Their tax rate was 5.47%, an increase of 4.28%. Every homeowner will be receiving their C bill in the mail, beginning yesterday. I expect many in Indianapolis will be shocked to find the amount they now owe. To be fair, I have heard many will not see an increase or have a balance on their C bill. I’ll wait to see if it is true. One thing I do know, many home sellers in the Indianapolis area with increases such as my clients experienced will not be able to sell their homes; they can not afford to bring the additional amount needed to close on their home. There will also be buyers who will now not qualify for their payment, based on the new tax amount. I sincerely hope we see an end to the tax crisis here in Indianapolis when the 1% cap takes effect in 2010. Remember, though, it is a 1% tax rate cap on the assessed values. Hopefully, we won't see the assessed values suddenly increase. Just a thought!